The Anthropocene defaunation process. | Letters from Gondwana. ← The plant fossil record and the extinction events. In 2000, Paul Crutzen proposed use the term Anthropocene to designate the last two hundred years of human history and to mark the end of the current Holocene geological epoch. Although there is no agreement on when the Anthropocene started, it has been defined, primarily, by significant and measurable increases in anthropogenic greenhouse gas emissions from ice cores and other geologic features including synthetic organic compounds, radionuclides and ocean acidification. Another marker for the Anthropocene is the current biodiversity crisis. The term defaunation was created to designate the declining of top predators and herbivores triggered by human activity, that results in a lack of agents that control the components of the ecosystems vegetation. 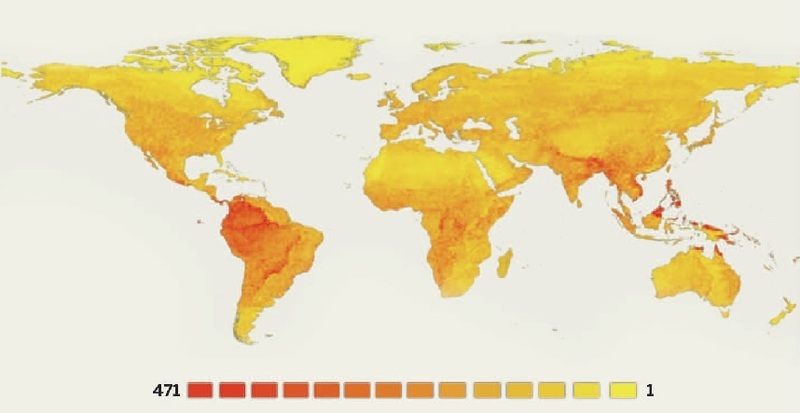 Global population declines in mammals and birds (From Dirzo et al., 2014). Since the industrial revolution, the wave of animal and plant extinctions that began with the late Quaternary has accelerated. Calculations suggest that the current rates of extinction are 100–1000 times above normal, or background levels. We are in the midst of the so called “Sixth Mass Extinction”. 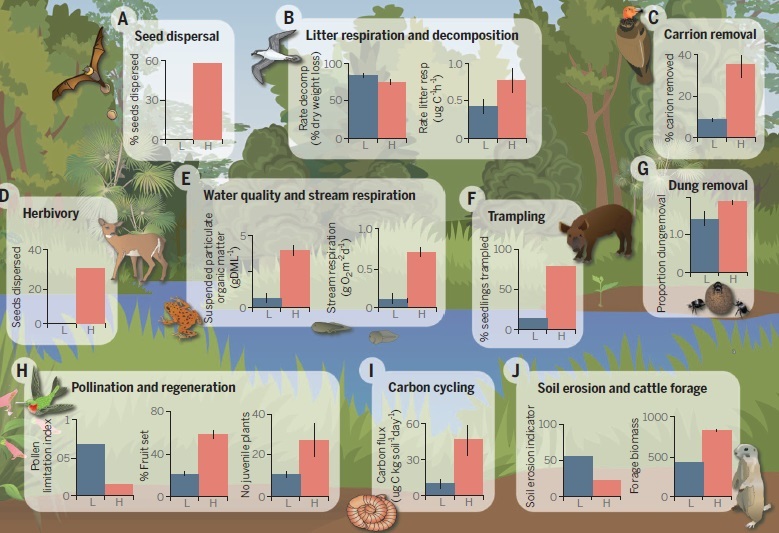 Although anthropogenic climate change is playing a growing role, the primary drivers of modern extinctions seem to be habitat loss, human predation, and introduced species (Briggs, 2011). The same drivers that contributed to ancient megafaunal and island extinctions. One of the most famous and well-documented extinctions come from Madagascar. Pygmy hippos, giant tortoises, and large lemurs went extinct due to human hunting or habitat disturbance. A very interesting study by Burney et al. (2003) tracked the decline of coprophilous Sporormiella fungus spores in sediments due to reduced megafaunal densities after the human arrival on the island. 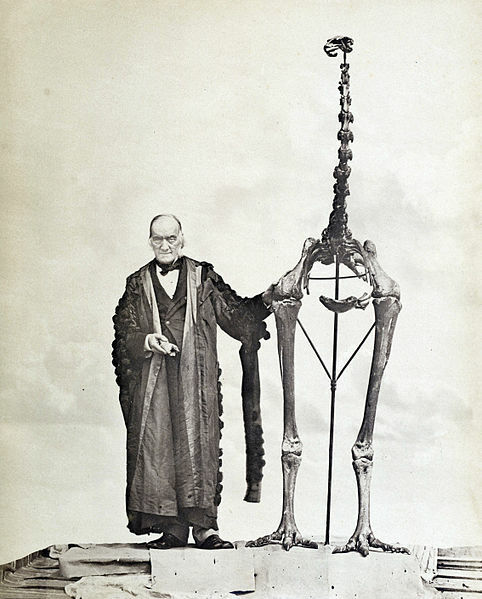 Another well documented case is the Moa extinction in New Zealand. Recent radiocarbon dating and population modeling suggests that their disappearance occurred within 100 years of first human arrival. A large number of land birds across Oceania suffered a similar fate beginning about 3500 years ago. Some biologist predict that the sixth extinction may result in a 50% loss of the plants and animals on our planet by AD 2100, which would cause not only the collapse of ecosystems but also the loss of food economies, and medicinal resources. This entry was tagged Anthropocene, Defaunation, Earth Sciences, extinctions, Mass extinctions, sixth mass extinction. Bookmark the permalink. I wouldn’t call it the Anthropocene, I would prefer the term “Anthropic Event”, since this can obviously not go on for much longer. Anthropic Event is however not a word I came up with, I heard it from a friend in a conversation.